Opened in September 2016, the East Building’s Tower 1 gallery features a rotating series of paintings by Mark Rothko. Mark Rothko was born Marcus Rothkowitz in Dvinsk, Russia (today Daugavpils, Latvia), on September 25, 1903. He was the fourth child of Jacob Rothkowitz, a pharmacist (b. 1859), and Anna Goldin Rothkowitz (b. 1870), who had married in 1886. Rothko and his family immigrated to the United States when he was 10 years old, and settled in Portland, Oregon. Rothko attended Yale University in 1921, where he studied English, French, European history, elementary mathematics, physics, biology, economics, the history of philosophy, and general psychology. His initial intention was to become an engineer or an attorney. Rothko gave up his studies in the fall of 1923 and moved to New York City. 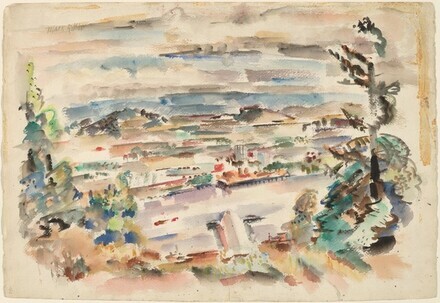 In New York, Rothko attended classes at the Art Students League, briefly studying under Max Weber, who encouraged him to work in a figurative style reminiscent of Cézanne. 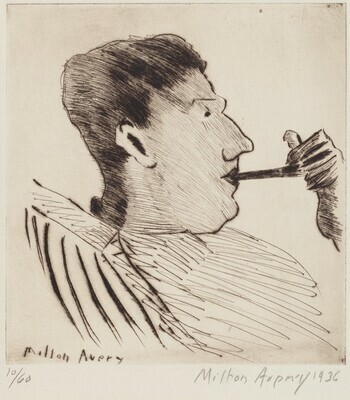 In the late 1920s, he met the modernist painter Milton Avery, whose simplified and colorful depictions of domestic subjects had a profound influence on Rothko's early development, particularly his application of paint and treatment of color. Avery's home became a meeting place for artists, who attended weekly life drawing sessions there. Bernard Karfiol, an instructor at the Art Students League, included Avery and Rothko in Group Exhibition: Artists Selected by Bernard Karfiol, at the Opportunity Gallery in 1928. In 1929 Rothko began teaching children at the Center Academy of the Brooklyn Jewish Center, a position he retained for more than 20 years. 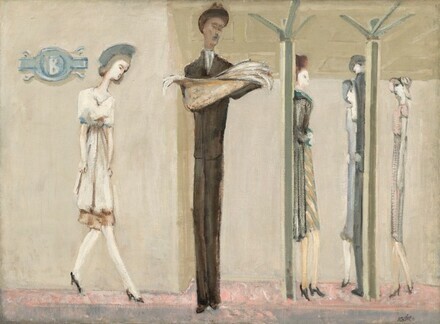 In the 1930s Rothko painted mostly street scenes and interiors with figures. Rejecting conventional modes of representation, he stressed an emotional approach to the subject—an approach he admired in children's art—and adopted a style characterized by deliberate deformations and a crude application of paint. Rothko was given his first one-person exhibitions in 1933 at the Museum of Art in Portland, Oregon, and a few months later at the Contemporary Arts Gallery in New York. The latter exhibition included landscapes, nudes, portraits, and city scenes. 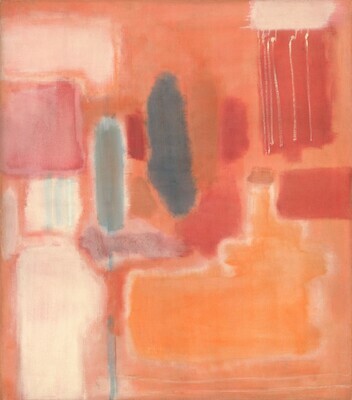 At the end of 1934 Rothko participated in an exhibition at the Gallery Secession, whose members included Louis Harris, Adolph Gottlieb, Ilya Bolotowsky, and Joseph Solman; several months later these artists formed their own group, the Ten, which exhibited together eight times between 1935 and 1939. Rothko's paintings in the Ten's exhibitions were expressionist in style. During this period he worked in the easel division of the WPA (Works Progress Administration), a federally sponsored arts project. He produced a number of haunting images of the New York subway, in which windows, portals, and walls serve as structural and expressive devices of confinement. Rothko shows the subway as a measured yet eccentric place, containing a dramatic contrast of perspectival extremes: walls and railings are represented as flat screens, while tracks recede sharply. Figures can be identified by anecdotal details of dress as commuters, shoppers, or schoolchildren, but they are largely attenuated, faceless, and flat. Ultimately, Rothko's characters are remote ciphers that establish scale. As such, they possess a haunted air, as if existing solely to inhabit the border that separates real and pictorial space. 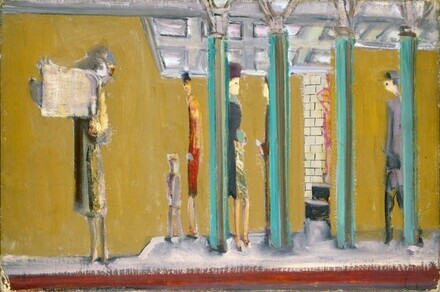 Rothko's street scenes and subway pictures of the 1930s have been compared to examples of Ashcan school and Depression-era realist painting, but this resemblance is likely based on the perception of a shared urban motif. 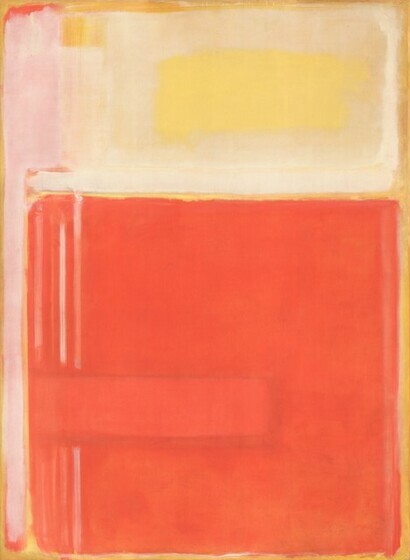 Rather than providing a "realistic" portrayal of city life, Rothko seems far more interested in conveying the perceptual experience of architectural space, using abstract compositional arrangements to explore the relationship between the painting and its viewer, an element that would play a critical role in the artist's later works. During the 1940s Rothko's imagery became increasingly symbolic. In the social climate of anxiety that dominated the late 1930s and the years of World War II, images from everyday life—however unnaturalistic—began to appear somewhat outmoded. If art were to express the tragedy of the human condition, Rothko felt, new subjects and a new idiom had to be found. He said, "It was with the utmost reluctance that I found the figure could not serve my purposes. . . . But a time came when none of us could use the figure without mutilating it." In a 1943 letter to the New York Times, written with Adolph Gottlieb and Barnett Newman, Rothko said, "It is a widely accepted notion among painters that it does not matter what one paints, as long as it is well painted. This is the essence of academicism. There is no such thing as a good painting about nothing. We assert that the subject is crucial and only that subject matter is valid which is tragic and timeless. That is why we profess a spiritual kinship with primitive and archaic art." Sacrifice of Iphigenia exemplifies Rothko's interest in classical literature. Describing another painting also inspired by the writings of Aeschylus, Rothko explained: "The picture deals not with the particular anecdote, but rather with the Spirit of Myth, which is generic to all myths at all times." The Old and New Testaments also became a rich source of inspiration, as seen in Gethsemane.The title refers to the garden near Jerusalem that was the scene of the agony and betrayal of Christ. "Are not these pictures really abstract paintings with literary titles? If our titles recall the known myths of antiquity, we have used them again because they are the eternal symbols upon which we must fall back to express basic psychological ideas. They are the symbols of man's primitive fears and motivations, no matter in which land or what time, changing only in detail but never in substance. . . . Our presentation of these myths, however, must be in our own terms which are at once more primitive and more modern than the myths themselves—more primitive because we seek the primeval and atavistic roots of the ideas rather than their graceful classical version; more modern than the myths themselves because we must redescribe their implications through our own experience. . . . The myth holds us, therefore, not through its romantic flavor, not the remembrance of beauty of some bygone age, not through the possibilities of fantasy, but because it expresses to us something real and existing in ourselves, as it was to those who first stumbled upon the symbols to give them life." Some works are composed in horizontal bands, which have been said to represent geological strata—possibly a metaphor for the unconscious. Devoted to themes of myth, prophecy, archaic ritual, and the unconscious mind, Rothko's paintings of the mid-1940s are characterized by a biomorphic style stimulated by the example of the surrealists, several of whom had recently immigrated to New York from war-torn Europe. Inspired by the surrealist technique of automatic writing—letting the brush meander without conscious control in an attempt to release the creative forces of the unconscious—Rothko loosened up his technique and developed a more abstract imagery. 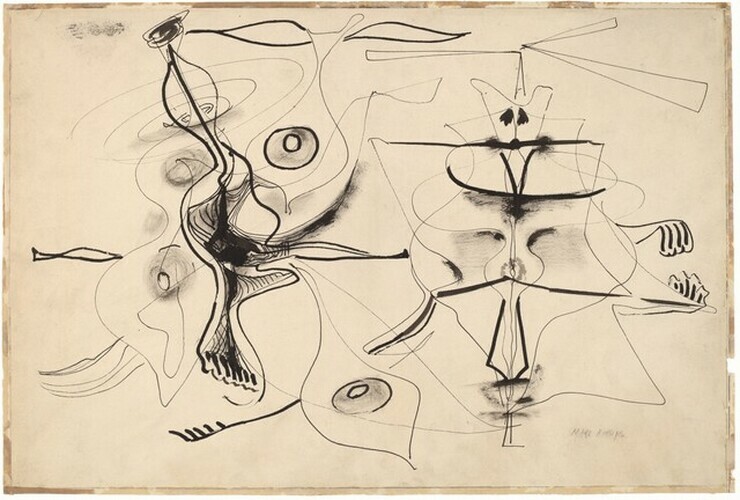 In remarkably free watercolors of the mid-1940s, related to the art of the surrealists Joan Miró, André Masson, as well as Arshile Gorky, Rothko explored the fluidity of the medium to evoke a vision of primeval life. Biomorphic forms dance before a background of horizontal bands that resemble the layers of a submarine universe. Luminous and transparent, Rothko's watercolors of this period mark a turning point in his career. The artist soon achieved similar effects in his oil paintings by diluting his pigments and applying paint in very thin, overlapping glazes. 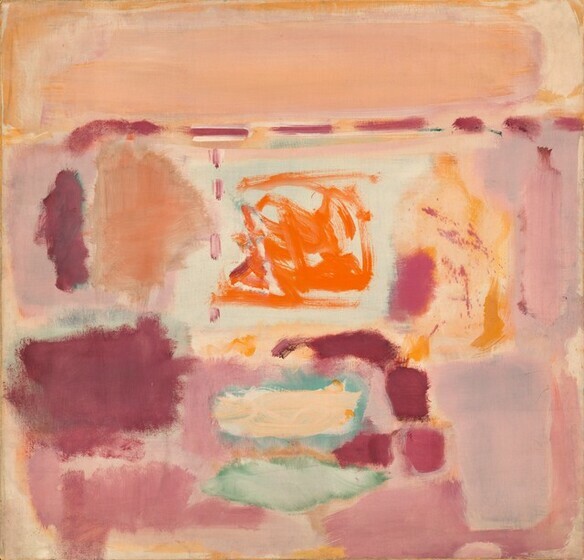 The rectangular strata that serve as a backdrop for the amoeba-like shapes also anticipate the structural components and pictorial spaces of Rothko's later work. The first appearance of large-scale canvases such as Rites of Lilith heralds another significant change in Rothko's work. In their manifesto in the New York Times, Rothko and Gottlieb had written: "We favor the simple expression of the complex thought. We are for the large shape because it has the impact of the unequivocal. We wish to reassert the picture plane. We are for flat forms because they destroy illusion and reveal truth." By 1947 Rothko had virtually eliminated all elements of surrealism or mythic imagery from his works, and nonobjective compositions of indeterminate shapes emerged. Figurative associations and references to the natural world disappeared from Rothko's paintings of the late 1940s. Linear elements were progressively eliminated as asymmetrically arranged patches of color became the basis of his compositions. 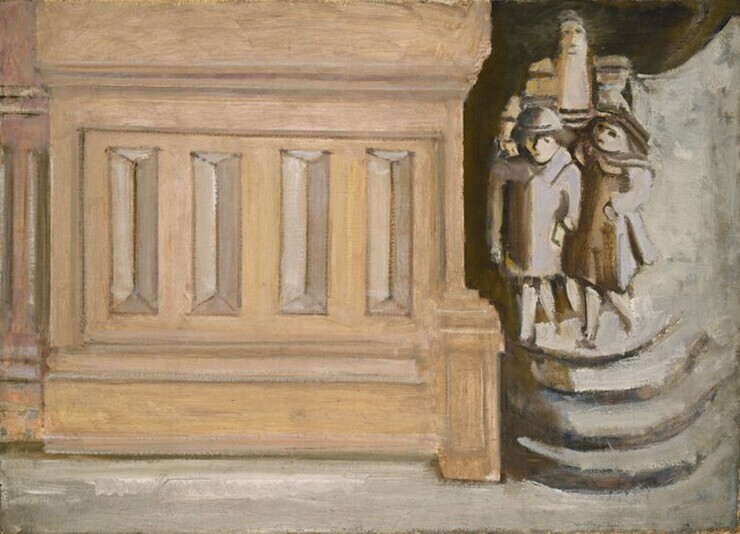 The paintings of 1947 to 1949 are sometimes referred to as multiforms to distinguish them from the more distilled compositions that follow. 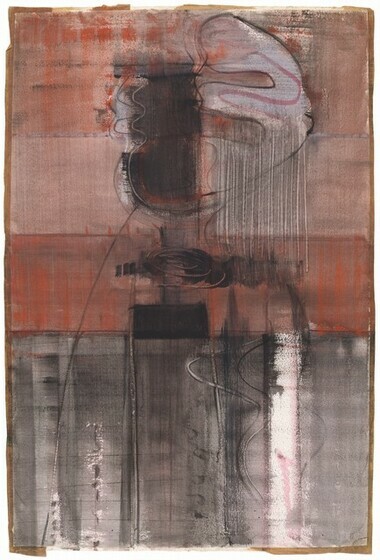 Certain multiforms retain the play of figure, line, and ground that Rothko employed in his works on paper from 1944 to 1946, and various textural effects are directly related to his experiments in watercolor and gouache. In these multiforms the liquid paint soaks the canvas, leaving soft, indistinct edges, while whitish outlines surround some of the shapes like haloes. Rothko now relied on these shapes, which replaced the earlier biomorphic motifs, to convey emotional states. Throughout this series the artist's work reveals a greater breadth of both composition and scale and a heightened attention to color. At this point Rothko began to paint the edges of his stretched canvases, which he displayed without confining frames. For him, eschewing representation permitted greater clarity, "the elimination of all obstacles between the painter and the idea and between the idea and the observer." 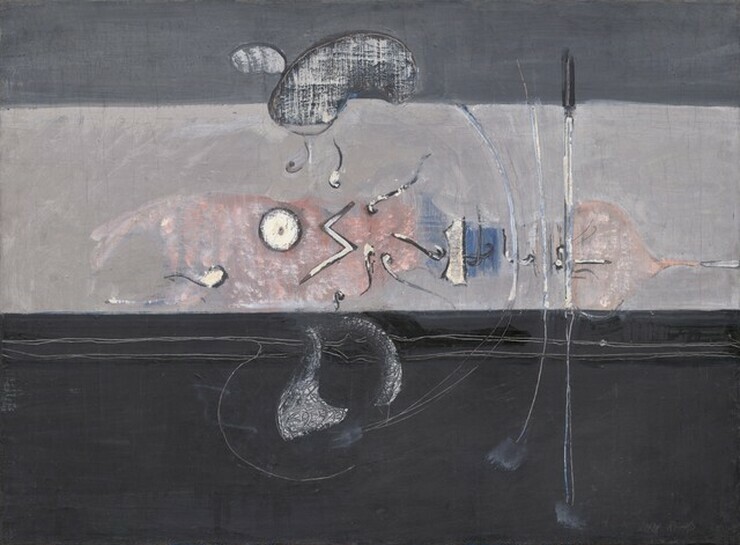 As examples of such obstacles, Rothko gave "memory, history, or geometry, which are swamps of generalization from which one might pull out parodies of ideas (which are ghosts) but never an idea in itself. To achieve this clarity is, inevitably, to be understood." During the late 1940s, Rothko described the conception of a painting in which "shapes"—or "performers"—first emerge as "an unknown adventure in an unknown space." In the journal Possibilities he explained that these "shapes have no direct association with any particular visible experience, but in them, one recognizes the principle and passion of organisms." He later wrote that "art to me is an anecdote of the spirit, and the only means of making concrete the purpose of its varied quickness and stillness." Like many New York artists of his generation, Rothko struggled with categorical distinctions between abstraction and representation and his ambition to invest nonfigurative art with transcendent content that would rival the elemental role of myth and ritual in archaic culture. In this regard, "unknown" pictorial space describes a realm that somehow surpasses two dimensions while avoiding the illusive three-dimensional space of conventional representation. In the late 1940s a group of young New York painters became known as abstract expressionists. 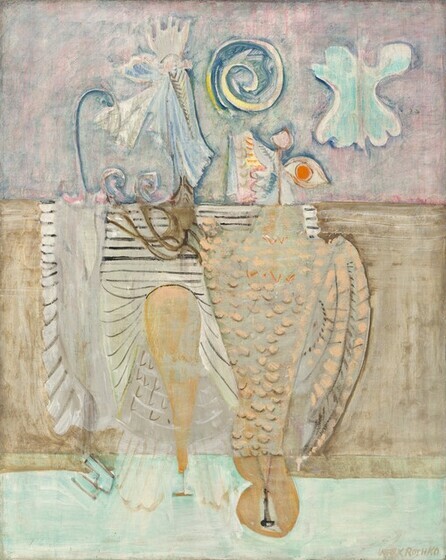 They worked in a variety of styles, but generally shared a commitment to creating large-scale, abstract works, an interest in Jungian psychoanalytic theories of the collective unconscious and primitive mythology, and a belief that expressiveness was achieved, in part, through the physical process of painting. Projecting the imprint of philosophy, art history, and the human experience into visual form, these artists incorporated both chance and control while painting with a physical immediacy and gesture. 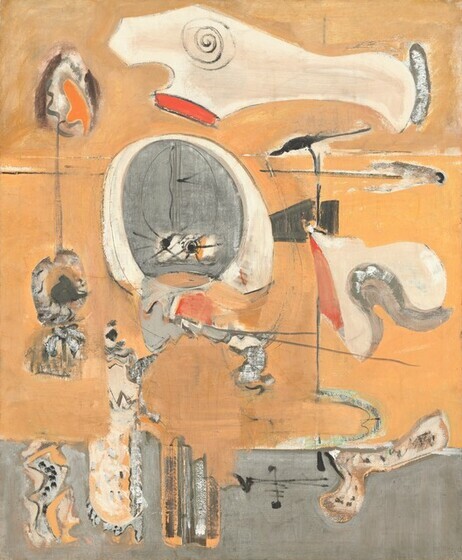 During the early 1950s two somewhat divergent stylistic tendencies emerged within this movement: chromatic abstraction, as seen in the coloristic paintings of Mark Rothko and Barnett Newman, and gestural abstraction or action painting, as exemplified by the energetically brushed works of Willem de Kooning and Franz Kline, and the poured paintings of Jackson Pollock.